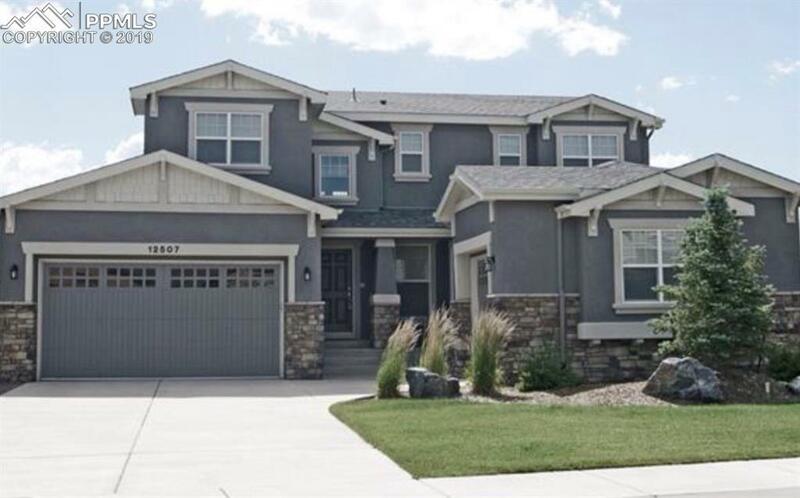 This spectacular home is located in Meridian Ranch. It's close to schools, shopping, Peterson & Schriever AFB. 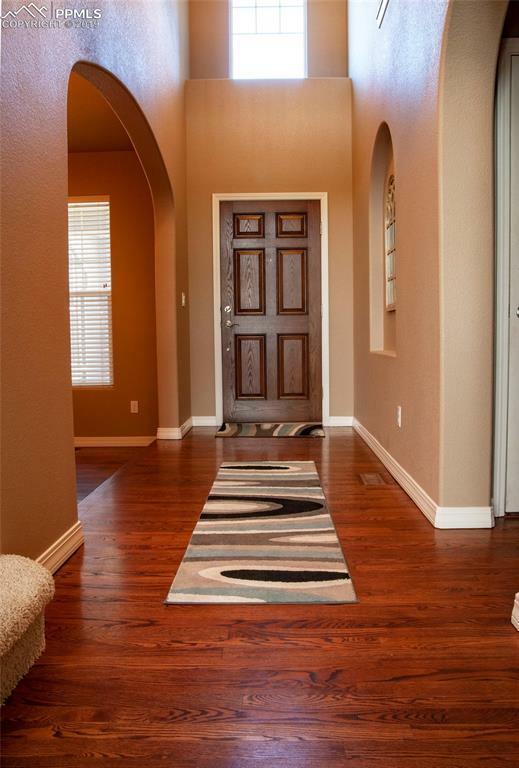 As you step inside the home, you will notice the beautiful wood floors. 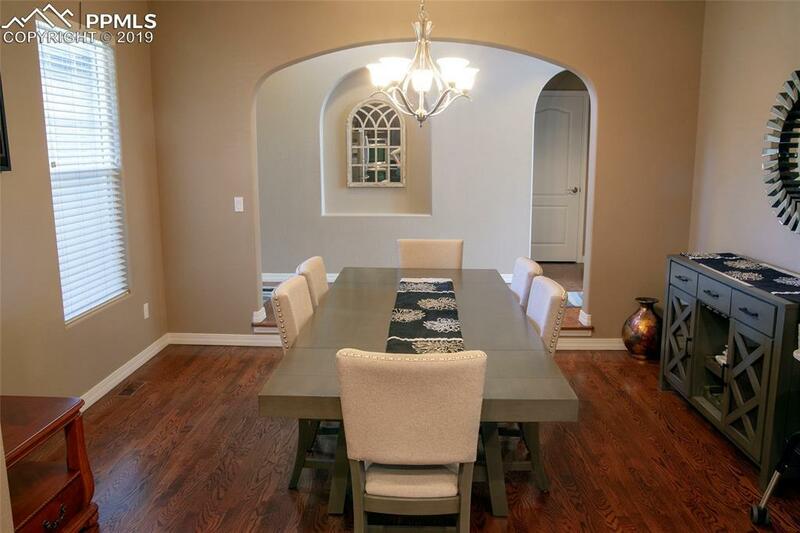 The formal Dining room is just off the entrance. The Living room is gorgeous. There is a wall of windows that lets natural light flood the room. You will find a ceiling fan to help keep you cool in the summer; a fireplace with stone surround to help keep you warm in the winter time. The Kitchen is fantastic! It has tons of staggered cabinets with crown molding and soft close cabinet doors, stainless steel appliances (including a double-oven), granite counter tops, and so much more! 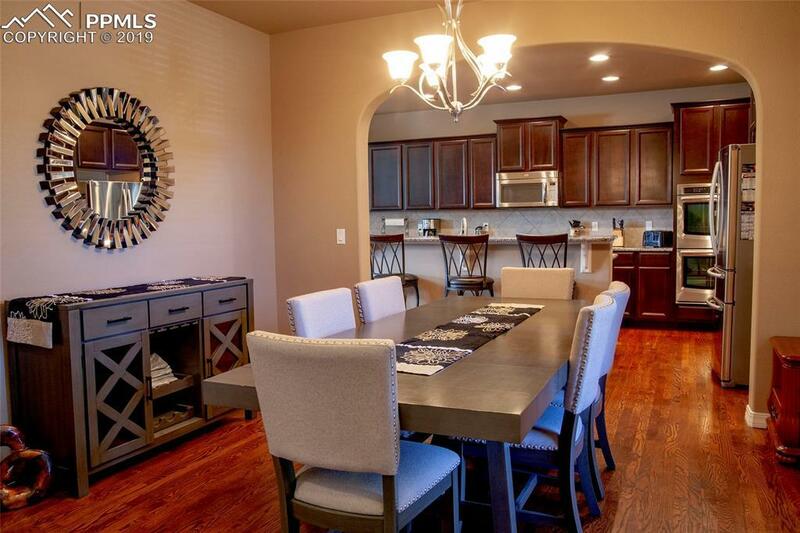 There is also an informal dining area just off the Kitchen! The Master Suite is on the main level and is very spacious, has a ceiling fan, a dual sided fireplace (the other side is in the Master bath). It adjoins to a 5 pc Master bath with dual sink vanity, large soaking tub and large shower stall - and a walk-in closet. There is also an office with beautiful built in shelves on the main level as well. Moving to the upper level, you will find a family room/loft area and 3 bedrooms. There is also a full bathroom with dual sink vanity on the upper level. The basement is an amazing place to entertain. You will find a wet bar complete with drop lighting, cabinets, a wine rack and a sink. There is family room, and 2 large bedrooms in the basement as well! The full bathroom in the basement has a dual sink vanity as well! This was a former MODEL HOME with many upgraded features! Fantastic home for entertaining! A MUST SEE!